This 70s-inspired saddle bag with plait detail and leather strap is a classic style made to be passed down generations. Leather is a flexible, durable and versatile material with significant longevity. 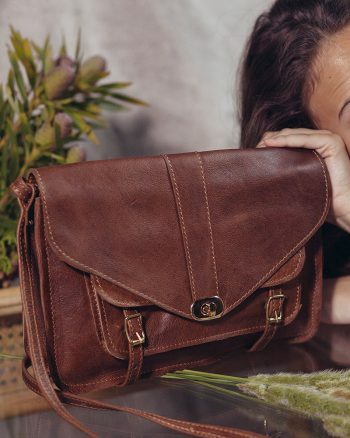 Designed in antique tan, this 70’s Inspired saddle bag with plait detail and leather strap is a classic style made to be passed down generations.